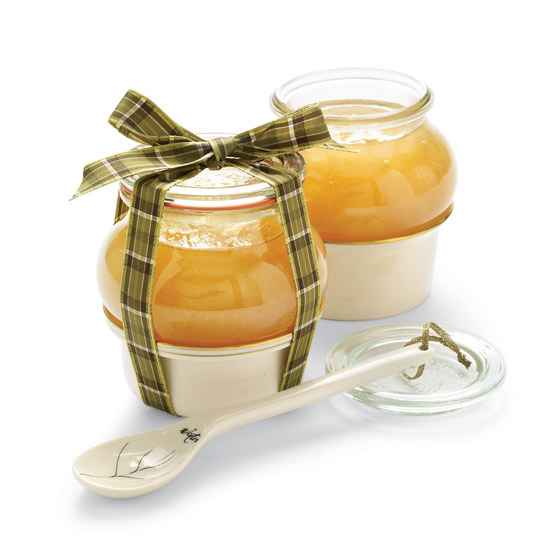 Presentation: Weck makes classic canning jars and this rounded shape. $14 for 6; weckcanning.com. Ramekin with gold rim by Lenox. $33; replacements.com. Porcelain spoons depict each season; this one is winter. $95 for 4; baileydoesntbark.com. 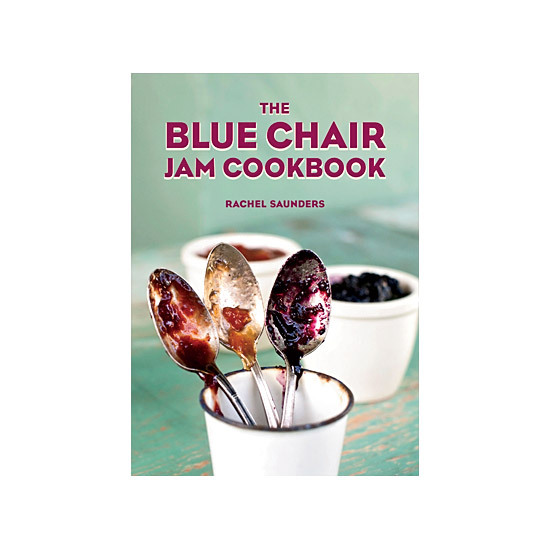 Jam Handbook Rachel Saunders's nearly-400-page book is filled with detailed recipes for jams accented with different herbs and spices. $35. Charcuterie Plate South Dakota's Schiltz Foods ships exceptional smoked goose breast, ready to serve alongside pear jam. From $5.50 per 3/4 lb; roastgoose.com. Presentation: The Vibe jar has an airtight lid. From $3.50; thecontainerstore.com. 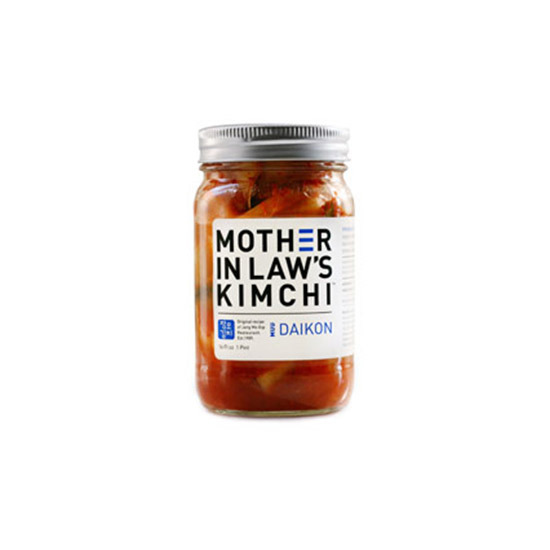 Mini tongs are perfect for chunky kimchi. 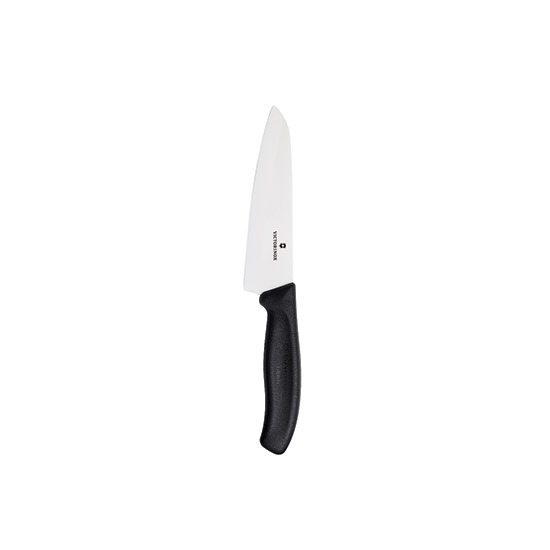 $5 for 2; cutleryandmore.com. 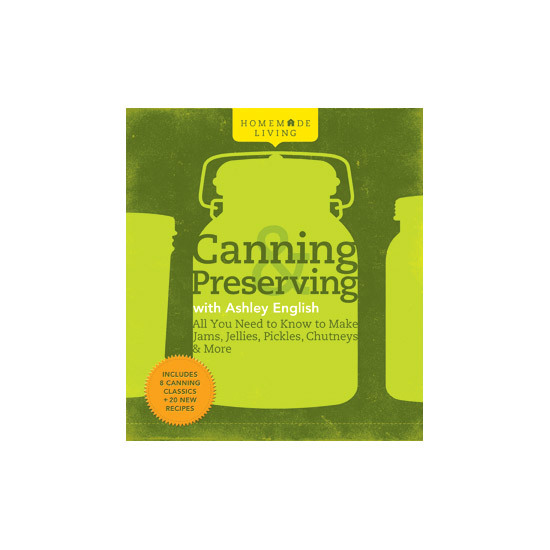 Blogger Ashley English's stellar series of how-to books on DIY life includes this primer on preserving. $20; small-measure.blogspot.com.